Here's a lovely 'convertible' recipe which can be made either for meat eaters or cooked before the meat is added for vegetarians, making it a perfect meal if you are cooking for a vegetarian. This is great for us as I can serve my meal and then add the cooked meat for the rest of the family. 1. In a large pan gently fry the onions and garlic until onion is soft. 2. 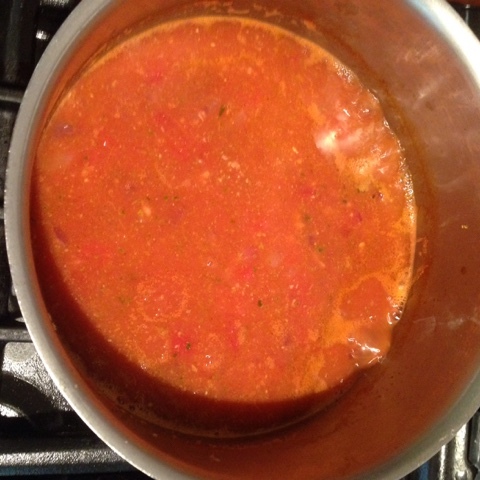 Add chopped tomatoes, pesto & tomato purée, fill one of the tomato tins with water and add that to the pan. 3. Bring to the boil. Then simmer for 45 minutes to reduce, this make the sauce nice and rich. 4. Gently fry the pepperoni in a pan, keep the oil for later. 5. Cook pasta and serve the pesto sauce as it is for vegetarians. 6. 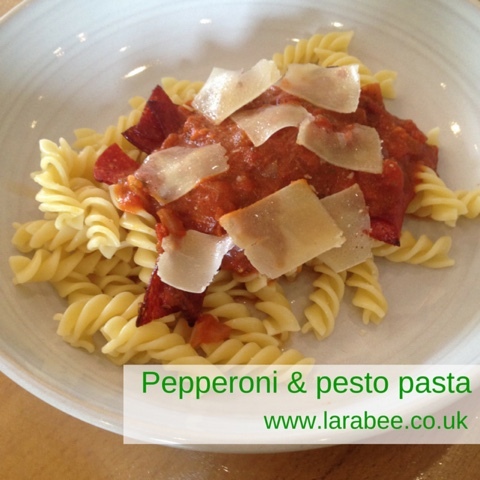 Mix in the pepperoni and oil then serve the pepperoni and pesto pasta with some Parmesan shavings on the top!